You hear about such incidents in the news almost every day. Someone has their vehicle stolen right out from underneath them by a criminal brandishing a gun or using threats of force or intimidation. This crime is called carjacking. It is a very serious charge and if convicted, a person faces at least 9 years in prison – potentially much more if a weapon is used or someone is injured. If you or a loved one has been caught up in a carjacking incident and now face charges, stay calm and call a San Diego theft lawyer for assistance. Immediate legal care is available to you and it is extremely important. Carjacking actually not only involves gaining possession of a stolen vehicle, but also moving it – even if only a short distance. It must also be proven that there existed intent to steal the vehicle prior to execution of any force or fear. Let Our Firm Fight for You! If alleged to have committed a carjacking, your first call needs to be to a firm that will be fully committed to providing an excellent defense. The Law Offices of Top Criminal Defense Law Firms, APLC, fits that bill. We have success in countless criminal trials, extensive legal experience, and a reputation for excellence in client care. Allow our accomplishments to speak to the quality of our legal representation, and allow us to go to bat for your case. Why delay in protecting your legal rights and future? 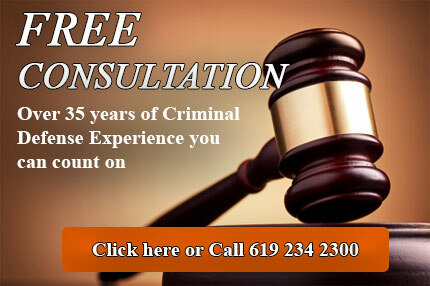 Contact a San Diego carjacking defense lawyer as soon as possible.